Magento Store Development, Ad one Group, IT Solutions. All the leading online businesses are on Magento, there can be no greater testimony than this of the platform's efficacy as a CMS and website development system. 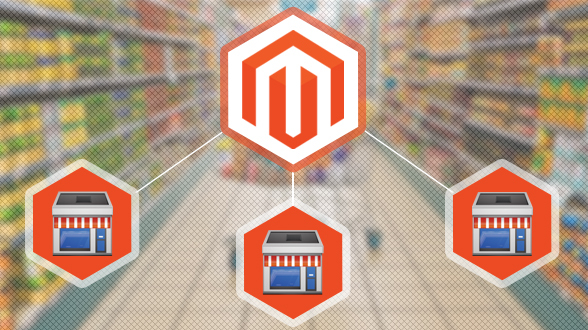 Magento is an open source platform and hence it has abundant features and functionalities that can be moulded to suit the business needs in very short time and at a very small price. Magento is the ideal platform for start-ups as it allows businesses to start small and build on the existing website, enabling them to make a single long-term investment without escalating costs in the future. Adone Group applies the many potentials of the Magento platform to deliver robust online stores which are enhanced to augment ROI for the client. Ouir Magento store developers build customized Magento stores with bespoke solutions for capturing the lion's share in the online market. We are adept at creating interactive websites that will capture the imagination of the target audience and keep them coming back for more. We can do much more for you and address your unique business needs. Our company has developed an understanding of individual businesses and industries through our decade-long experience.